Daryl Johnson (Worcester Park, United Kingdom) on 23 May 2009 in Architecture and Portfolio. 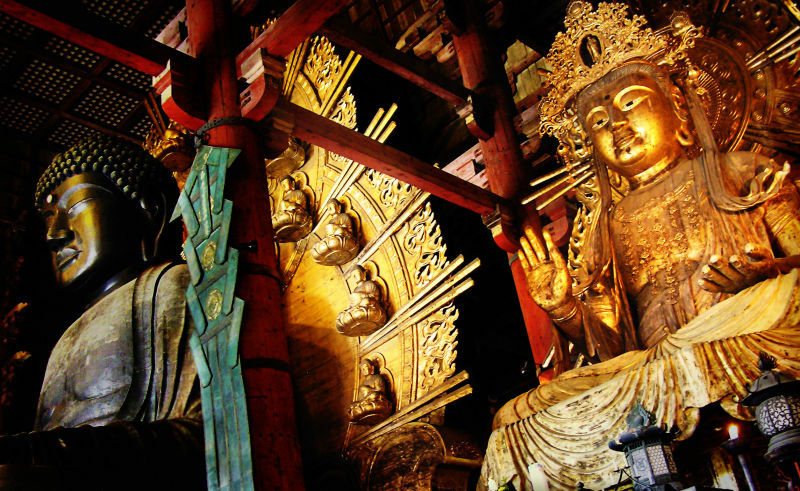 Statues inside the main hall of Todaiji, including the giant Daibatsu. Oh great this gold, these warm colors! A beautiful image! Superb capture. The colours are so warm! I've just discover me have the same familly name!!!! @Marc: Merci Marc! Quelle surprise! Such amazing details . . again, the maintenance must be quite something. @Ronnie 2¢: Cheers Ronnie... It must cost a fortune to maintain.